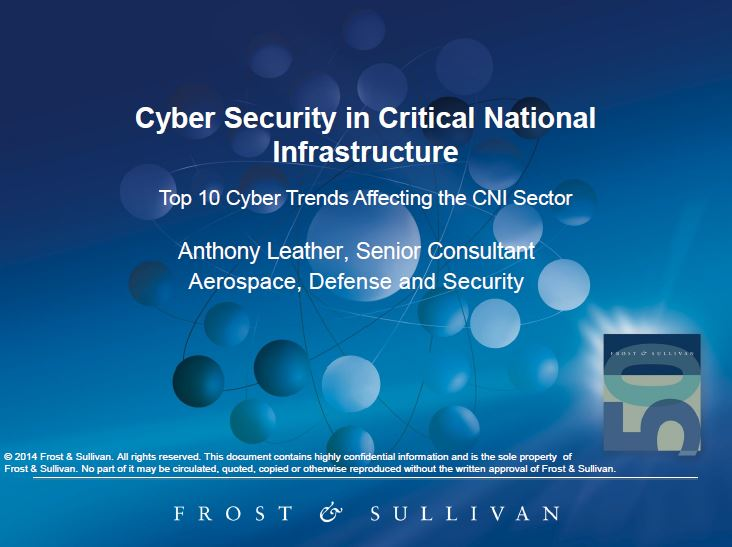 Anthony Leather, Senior Consultant for Aerospace, Defense and Security at Frost & Sullivan, presents the top 10 cyber threats facing critical national infrastructure based on detailed analysis of the most recent incidents. According to Leather, the cyber threat will be the number one risk for the next 20 years. Governments and industry must engage with the cyber threat now in a more strategic and meaningful way than has so far been achieved.